The vast majority of dioramas consist of a base with no background or enclosure. While this type of diorama is the easiest and quickest to build, it’s also the least practical. 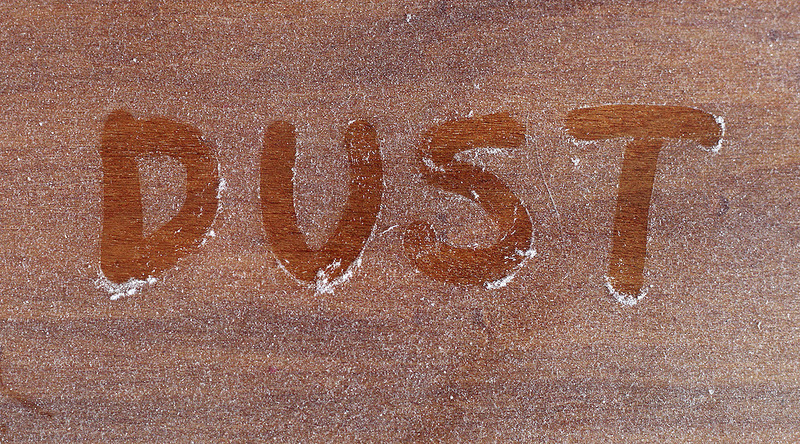 With nothing to cover it, that ubiquitous household villain known as dust will make its presence known all too soon. Even if you keep your windows closed, your diorama will soon be covered in dust. Now depending on the contents of your diorama, dusting it may be a minor nuisance or a major undertaking. Dusting a 1:12 scale contemporary car will be easier than dusting a 1:72 scale forest scene. As you begin the task of dusting, you’ll find yourself bringing home every type of cleaning rag carried by your hardware store or supermarket. Then you’ll start experimenting with various cleaning liquids, from window cleaners to vinegar and dish detergent. At some point you may inadvertantly damage your diorama and be faced with a repair job. If you forego frequent dusting, you’ll find that the dust becomes even more difficult to eradicate. It almost seems to turn sticky if you leave it too long. The longer you wait, the thicker it gets, and the harder the job becomes when you finally get around to it. There’s a simple solution to this, and it’s called the box diorama (also known as a shadowbox). This is a diorama which adds walls and a ‘roof’ to the base (at least one wall is transparent, for obvious reasons). The walls and roof prevent any dust from getting onto your diorama, guaranteeing that it will continue to look as good as the day you finished it. Any dust that accumulates on the outside of the diorama can be cleaned off in seconds, the same as windows or a countertop. To be completely dust free, the box diorama should be completely sealed. Any open spaces will allow dust to get in. It doesn’t have to be airtight, but it should be covered on each side and devoid of gaps. The simplest way to start is with a commercially available display case. This type of case consists of a clear acrylic cover which attaches to an opaque base. While a box diorama usually has a background photo or painting on the rear wall, this isn’t absolutely necessary, and you can always add it later. If you can’t find a commercially available display case that you like, you can make your own. Whether you opt for a pre-made display case or a custom version, your diorama will be beautifully dust free. If you like to build dioramas and want to learn more about how to optimize the visual impact of your work, you might like my book, Diorama Design. It’s available in both ebook and print formats at Amazon.